Over 60 Years Experience Of Quality Blind Fabrics. We are wholesale distributors of top quality window blind fabrics and components, with over 60 years experience supplying manufacturers throughout the U.K. We are very proud to display our Royal Warrant of Appointment – awarded to Dutton & Gavin Textiles as suppliers of quality blind fabrics and components to Her Majesty The Queen. 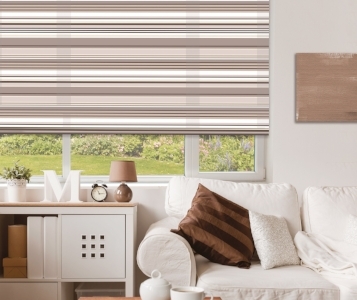 Gemini B/O roller blind fabric is the perfect fabric for darkening a room or bedroom. It comes in a choice of 23 lovely colours and is colour-backed, so the rear of the fabric is the same colour as the front. Width roll is 200cm. Also available as 89mm vertical fabric. This durable plain roller blind fabric is perfect for hard-working kitchens and steamy bathrooms, and is available in a wide choice of colours from understated naturals to eye-popping brights. Width roll is 200cm with some colours available in XL 240cm. Also available as 89mm vertical fabric. Wyre B/O FR is the perfect commercial Flame Retardant roller blind fabric for windows in hotels, offices or all public buildings. Available in 270cm width. Also available as 89mm vertical fabric. The technical data are average values obtained from different tests. Light fastness according to DIN 54004. RTA-test range: visible light 400-700nm. Tested according to DIN EN 410 (DIN 67507) left side of the fabric: testing equipment: spectro photometer. Windsor FR B/O Blackout is the perfect commercial Flame Retardant roller blind fabric for windows in hotels, offices or all Public buildings. Available in 5 usable colours and two available roll widths 230cm & 300cm with matching translucent. The Windsor range is also available in 89mm vertical fabric for each colourway, in both translucent and blackout. For further information please contact us. This data is non-contractual and all values are indicative only. Further information is available on request. Our beehive inspired material, 100% polyester Translucent material available in 200cm wide roll is manufactured to the highest environmental standards. This material creates a beautiful sheer yet textured look. A textured 100% polyester translucent material available in 195cm wide roll. Beautiful blossom design is perfect for adding a soft pattern to any room. 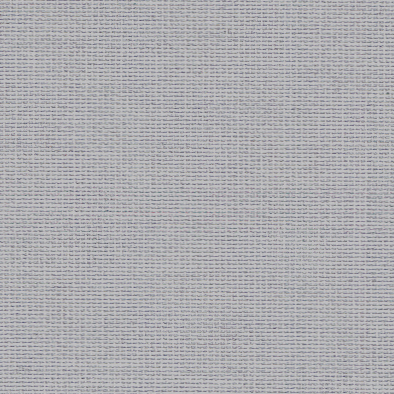 Delicately textured 100% polyester material available in 200cm wide. Perfect for a subtle addition of texture and design to any window. Bubbles range is also available in 89mm vertical fabric along with the roller fabric for each colourway. Camino is manufactured to the highest standard providing excellent thickness. With a mortled cloud like design this material is perfect for the more sophisticated room. This material is Classic by name and Classic by nature. We have offered for years in 200cm wide. 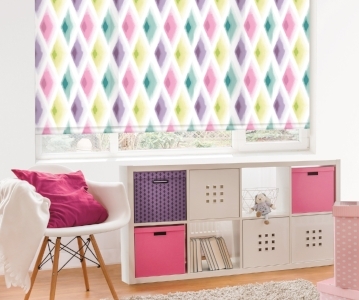 A stripey roller fabric that's available in many colours and is always fashionable. A lovely transparent striped printed fabric in white, made for the sophisticated room. This classic woven look material has now been transformed into a natural look for the modern room. Being 220cm this will cover most window sizes without a join. 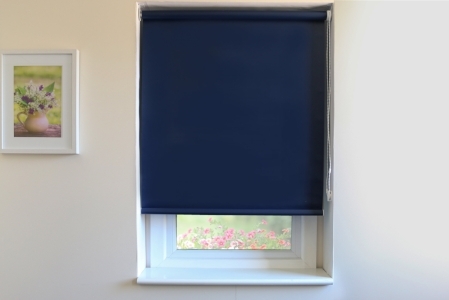 This durable plain roller blind fabric is perfect for hard-working kitchens and steamy bathrooms, and is available in a wide choice of colours from understated naturals to eye-popping brights. 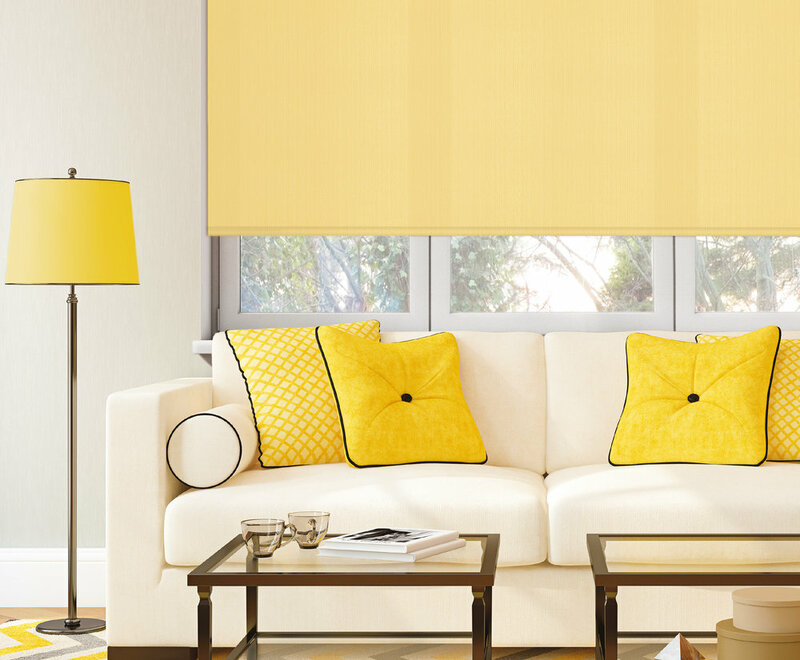 Our Harlow material has been manufactured to the highest quality available in the roller blind material market. With a denim look and feel this material is perfection. 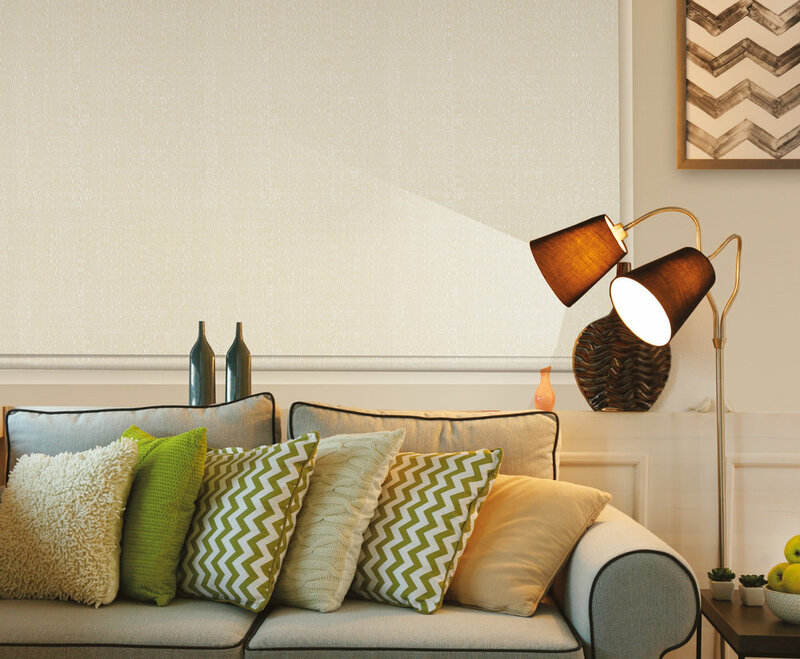 India B/O roller blind fabric is the perfect fabric for darkening a room or bedroom. It comes in a choice of 5 lovely colours and is colour-backed, so the rear of the fabric is the same colour as the front. Our Jennavieve print can lend itself to the country home, girls bedroom or anywhere looking for a delicate floral pattern. With bright and vibrant colours this will freshen any room. Jura is a classic material, perfect from any room. Available in 16 colours and 240cm wide it’s the perfect choice. Jura range is also available in 89mm vertical fabric along with the roller fabric for each colourway. Our Lewis shine Range is the ultimate in understated glamour, Available 3 in three sophisticated colours and 280cm width. Graphic Design fits into urban environment. 100% Polyester. A delicate Floral embossed print on sheer is the ultimate in delicate sophistication. 100% polyester. A textured woven fabric which echoes the natural world and adds warmth to a room. Always a favourite. Our Natasha Print will add vibrancy, colour and design to any room. A textured woven fabric with a small squared design adds subtle style to any room. 100% polyester. Ohio range is available in 89mm vertical fabric along with the roller fabric for each colourway. The thinnest sheer window blind fabric we do in 200cm wide. With multiple gorgeous faded shades this printed stripe is Delicately beautiful! With a thin embossed stripe this natural look blackout material is perfect for understated sophistication, with matching translucent material Serenity can cover all of the homes needs. Sidewalk is manufactured with the base cloth of our Harlow material which has been manufactured to the highest quality available in the roller blind material market. With a denim look and feel this with the added bonus of modern design this fabric is modern perfection. A woven fabric with a gentle warm slub in very natural colours. Perfect for the natural look. This timeless Streifen stripe is available in 4 x modern colours with a sheen that glows. Always a favourite. Tamika is manufactured to the highest level with a subtle sheen is understated sophistication. A simply gorgeous translucent weave, makes a natural statement to any home. With a matching Black out option our tweed range can cover the entire homes needs. This graphical velvet print creates a cool atmosphere. Available in 3 colours. A warp style retro design in two of this seasons most loved colour selections is perfect for adding style to your room. The most delicate sheer we have, which makes an elegant daytime transparent window blind. Especially useful if you need some daytime privacy, or want to stop the furnishings from fading. A white sheer fabric with embossed wood look design is perfect when looking for natural understated glamour.